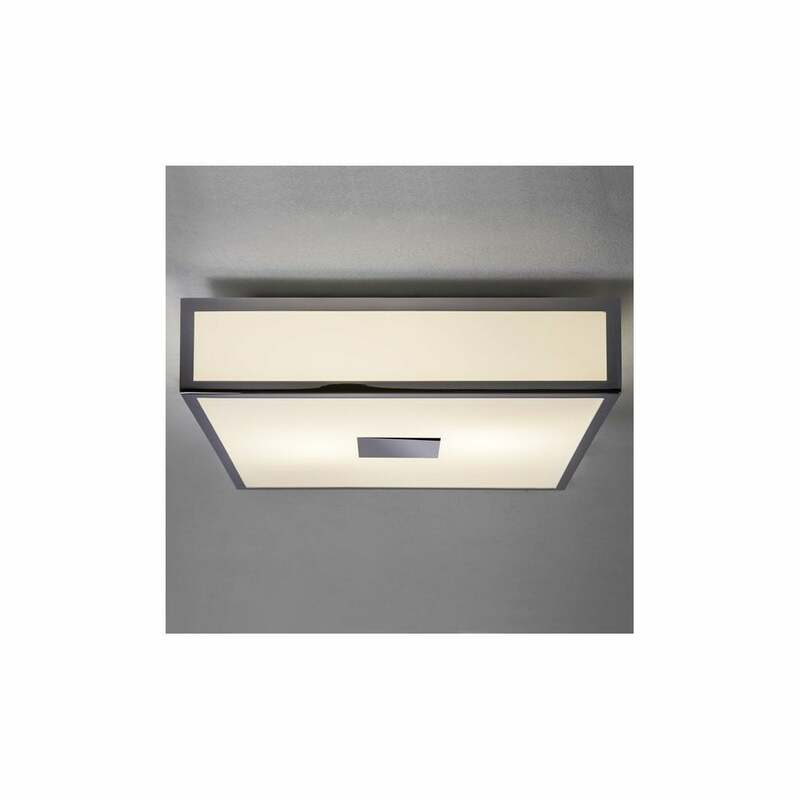 Astro Lighting Mashiko 300 bathroom LED ceiling fitting features a square design frame in polished chrome finish with white glass diffuser. The product code for this Astro Lighting ceiling fitting is 8533. This elegant design combines high gloss chrome detail and white glass to create both a subtle and stylish lighting solution for modern decors. Double insulated and IP44 rated making this fitting suitable for bathroom use. The Mashiko 300 range is also available in a bronze or matt nickel finish which can be ordered from our website.